It's time for my fifth annual look back at the year's top 10 moments in TV ratings! As always, the criteria are pretty subjective, but I go for a blend of 1) relatively isolated incidents that are impressive for their sheer enormity/cultural impact and 2) moments that exemplify much larger trends in TV this year. This was mostly a bad year for new entertainment series, so I feel like there are a lot more of #1 than I would normally like, and thus I'm just releasing all 10 at once rather than try to build suspense. But please let me know about my most egregious rankings/omissions. Happy New Year! I continue my annual trolling of the commenters by once again acknowledging the Super Bowl, which was the most-viewed event in the history of American television in attracting 114.44 million viewers. But there were a couple other football moments that were probably more surprising/significant. 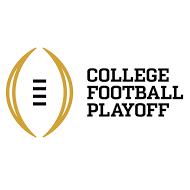 First, there was college football's inaugural four-team playoff, adding two semifinal games that produced cable record numbers on New Year's Day (each game over 28 million) and effectively allowing ESPN to get three championship-level game ratings rather than one. And then there was the US National Team's run to a Women's World Cup, bringing all kinds of new interest to the sport and culminating in a massive 22.32 million viewers and 7.0 demo on July 5. The early returns from NBC's Blindspot haven't been any better (in A18-49+) than what The Blacklist did in the Monday 10/9c slot two years ago, and not even much better than Revolution's autumn three years ago. But when compared with NBC's ongoing trainwreck in the hour last year, it's been a very welcome arrival. As other newbies petered out after strong starts, Blindspot emerged as the clear biggest new success of the fall. Its success helped kick off a dominant fall for NBC with a very healthy cycle of The Voice, promising late fall newbie Chicago Med on Tuesday, and some less-awful-than-usual Thursday pieces in Heroes Reborn and The Blacklist. It's always tough for the regular Sunday series to navigate all of the big events in January and February, but event season was even more brutal this year thanks to NBC's hugely star-studded celebration of 40 years of Saturday Night Live. This show had 23.14 million total viewers and an enormous 7.8 demo rating, pounding The Walking Dead head-to-head and obliterating Fox's similar-skewing comedies to series lows that mostly still stand today. Most of the big primetime events are long-standing traditions you can count on; in this case, NBC created a Grammy Awards-sized player essentially from scratch. It's been a weak fall for new series, and the first truly bad omen probably came on the second day of the new season as two of broadcast's biggest hopes premiered. Though The Muppets (2.9) was below many expectations, it's still pretty hard to find many more impressive self-starting comedy premieres in recent memory, so we shouldn't be too hard on its premiere. (Its 60% drop since then is another story...) The real bummer premiere on this night belonged to Fox's Scream Queens (1.7), the mega-promoted Ryan Murphy horror project with an extremely youth-friendly cast. It's had a young and non-traditional audience, but not even getting that close to a 2.0 on premiere night was still a big disappointment. 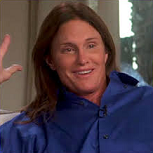 Broadcast TV produced another simply stunning one-off event rating a couple months after SNL40 when Olympic legend Bruce Jenner came out as transgender in a two-hour ABC special. 17.1 million viewers and a 5.2 demo rating are simply impossible numbers on low-viewed Friday in late April. This one beats out SNL40 because of the cultural significance, but also because it was a bit less of a one-off; the Jenner story later helped to more than triple the viewership for the ESPY Awards in July, and it also led to a regular (albeit rather modest-rated) series called I Am Cait on E! 2015 was the first year in series history that The Walking Dead didn't hit a new series high, so it might have seemed like the time to leave it off the list. But zombies still made big news as AMC got them for six additional Sundays with spin-off Fear the Walking Dead. It was no Walking Dead, but it started with a huge 4.93 demo rating and stayed well north of 3.0 to the end. This definitely wasn't one of the top wow-factor moments; The Walking Dead is so huge that these numbers aren't particularly surprising. But in a rough era for cable TV same-day ratings, something new pulling numbers this huge is very significant, no matter how they were brought about. 2015 was clearly the Year of Empire, the hip-hop drama which eventually became the biggest new series of this generation. Empire's story is mostly about its incredible post-premiere growth (see #1! ), but something worth keeping in mind is that even the premiere rating was in major breakout territory. If Empire's 9.9 million viewers and 3.8 demo premiere had taken a more typical trajectory and just settled in the low- to mid-2's, it would've been a clear top five story of the season. The biggest new hit of the fall wasn't a series; it was the Republican presidential debates, as The Apprentice host Donald Trump has lifted them to absolutely unprecedented levels of interest. This first one on Fox News in early August averaged an enormous 24 million viewers and 5.3 demo rating, about eight times the corresponding 2012 debate. 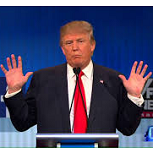 Subsequent debates have regularly blown away all-time viewership records on their cable news channels. As the summer turned to fall, they've become something of a Death Star for broadcast programming, causing some soft-rated nights in the crucial early autumn weeks. All this has come before even a single vote has been cast, so this is gonna remain a huge story in 2016. I limited myself to just two Empire-related moments for this list, but what made Empire such an exhilarating story last winter was not an individual moment but the long series of moments; it grew week-to-week in eight of the ten post-premiere airings, eventually growing about 80% from the series premiere rating. The individual moment choice here represents the end of the line for Empire's growth, a whooping 6.7 demo rating for the season two premiere. It's technically not the series high since Fox split the two-hour season one finale into two ratings (6.1/6.9), but it's the biggest single-night rating and it will be the biggest in A18-49+. This will go down as a top-five regularly-scheduled broadcast scripted episode in the A18-49+ era, very nearly on par with Ashton Kutcher's debut on Two and a Half Men four years ago.